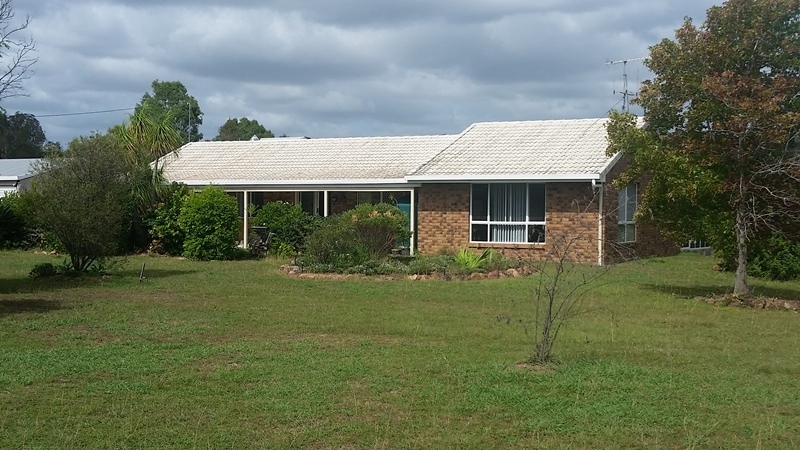 Description: We are delighted to market this 3 bedroom, brick veneer home on 6 acres in a quiet street only 5 minutes from Widgee. It comes with a tiled roof and solar hot water, 3.5kw solar power, 15000 gallons of rainwater and a submersible pump on Widgee creek for the gardens. All rooms have ceiling fans, while the main bedroom and the open plan kitchen/dining/living area have separate reverse cycle air conditioners. All bedrooms have built-ins. A feature of this property is the 13m x 5m enclosed patio. Perfect for entertaining or somewhere to put the kids. Outside are 3 lockable sheds, 10 x 6, 6 x 6 & 6 x 3 for the cars or hobbies and an enclosed vegetable garden and small orchard. Plenty of room for the kids to ride bikes and swim in the waterhole on the creek. Primary school is 5 minutes to Widgee, secondary schools and shopping is 20 minutes to Gympie. School bus is 800m at the start of the street. Contact Tom Grady Real Estate Today!!! Email Tom Grady Real Estate Now!